Played with them, if asked. Gave them snacks and sweets. Prepare or serve any of their meals. Help them with their homework. Based on these lists, my mom is what you might call a “hands-off” Grandma—or Bubbe, as she is affectionately referred to. She loves her grandkids. She enjoys spending time with them, in small doses. She cares about their well-being and what is happening in their lives. But she is not interested in participating in the grunt work of raising them: the tasks that include bodily fluids and flailing limbs, tears and stall tactics and four outfit changes in as many minutes. 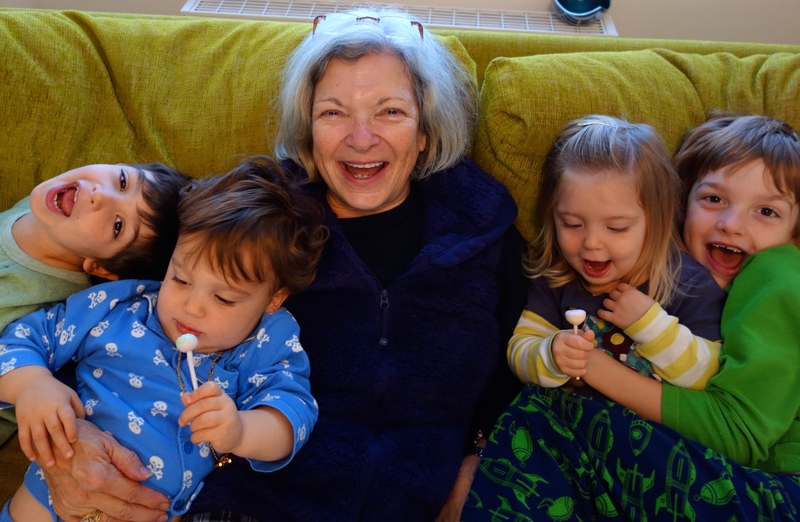 In so far as it is possible to engineer, my mother, at 70, is looking to experience the good bits associated with young children, the fun bits, and not the slog. You can read the rest of the post here, at Brain, Child Magazine.